I bought some mangoes at the grocery store last week as it was on sale. Busy with house errand, I totally forgot about it and some of the mangoes gone ripe. Instead off throwing it away, I made a simple, easy and delicious mango milkshake. 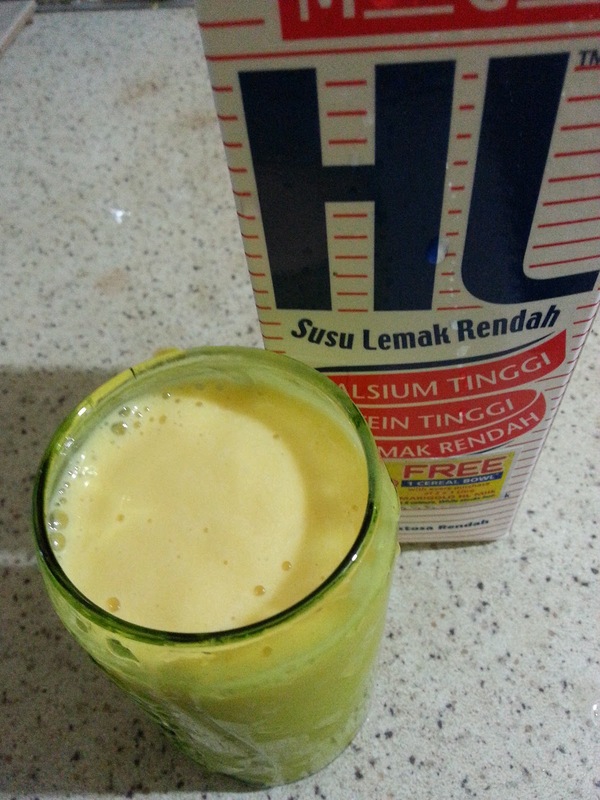 Did you know that , mango milkshake is very fulfilling and it simply recharges your body. It is also a refreshing treat for the hot weather! 1. Remove the mango skin and add the pulp to a blender. 2.Add milk and honey. You may add ice cube if you want it chill. 3. Blend it well . Taste and add sugar if needed and give it another whirl if adding.